Various theaters throughout Miami Beach. The 23rd Annual American Black Film Festival (ABFF) returns to the shores of Miami June 12-16, 2019 for a long weekend of star-studded movie premieres, indie film screenings, master classes, panel discussions and talent discovery programs. Founded in 1997 by Jeff Friday, the inaugural festival was held in Acapulco. New York and Los Angeles have also played host in addition to Miami. The festival was founded on the belief that Black artists deserve the same opportunities as their mainstream counterparts and its become a pipeline for emerging Black talent both in front of and behind the camera. Through the years, ABFF has fostered such luminaries as veteran producer Will Packer (Ride Along, Think Like A Man) and emerging director and screenwriter Ryan Coogler (Creed, Fruitvale Station). A-List celebrities in attendance have included Denzel Washington, Spike Lee, Halle Berry, Morgan Freeman, Keenen Ivory Wayans, Idris Elba, Kevin Hart and Taraji P. Henson. The festival routinely attracts upwards of 10,000 attendees to celebrate more than 1,000 feature films, documentaries, shorts and web originals. In 2016, ABFF expanded its scope to showcase more television and also brightened the spotlight on female filmmakers. In 2017, ABFF highlighted career opportunities and innovations within entertainment technology. This year's programming brings back the Careers in Entertainment Center, offering master classes, tech talks and "careers in entertainment" sessions by leading media companies, along with the traditional lineup of entertainment, celebrity conversations and talent discovery programs. The festivals Master Class program is also a major draw. Held this year at The Betsy South Beach Hotel, these two to three hour intensives are conducted by working industry veterans offering unparalleled perspective into the art and business of filmmaking. 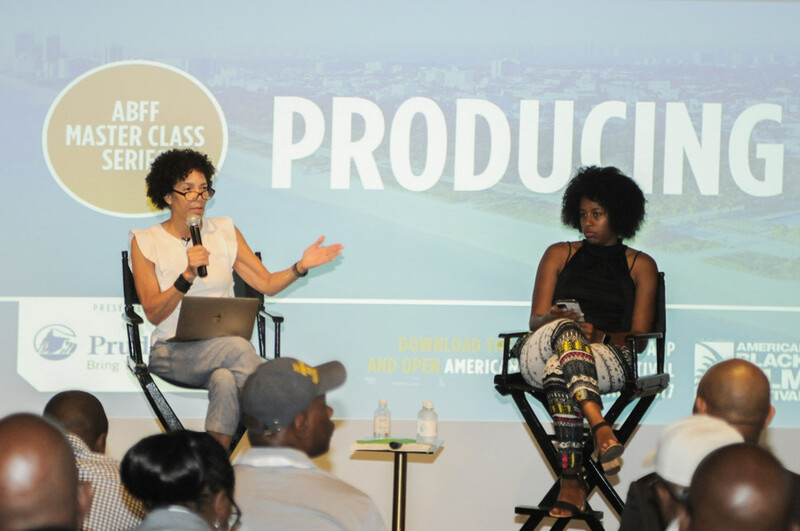 Emmy Award-Nominated Producer, Korin D. Huggins (ROOTS, Uncle Buck, Truth Be Told, Being Mary Jane), will lead a Master Class in Becoming a Showrunner. Glendon Palmer, SVP and Head of Urban Content, AGC Studios, will conduct a Master Class in Film Financing. Kimberly Hardin, Casting Director (Hustle & Flow, Dear White People), will lead a Master Class in Nailing Your Audition. ABFFs dynamic program also includes the HBO Short Film Competition at the New World Center, where five short films will be screened and a $10,000 cash prize will be awarded to the winner. The ABFF Comedy Wings Competition presented by HBO at the New World Center will showcase five emerging standup comedians as they battle to win the title of best comic. Late night after parties are planned. From the glittering shores of Miami Beach to the bright lights of the silver screen inside Miamis most storied theaters, ABFF is providing a dynamic weekend for those attending the nations largest gathering of Black film and television enthusiasts.Passes and tickets are still available, but theyre going fast. Dont miss out on your chance to rub elbows with celebrities, catch world premieres of groundbreaking films and dance the night away with other film buffs in Miami.